The Mantis Performa perforated overgrip provides a dry yet tacky surface. The grip features perforations that eliminate moisture and ensure better absorbency. The application of a nano powder on the surface ensures a better grip even in the most demanding conditions. It is 0.6mm thick and comes in the pack of three grips. for submitting product information about Mantis Performa Perforated Overgrip (3 pack) We aim to answer all questions within 2-3 days. for submitting product information about Mantis Performa Perforated Overgrip (3 pack). We aim to answer all questions within 2-3 days. If you provided your name and email address, we will email you as soon as the answer is published. 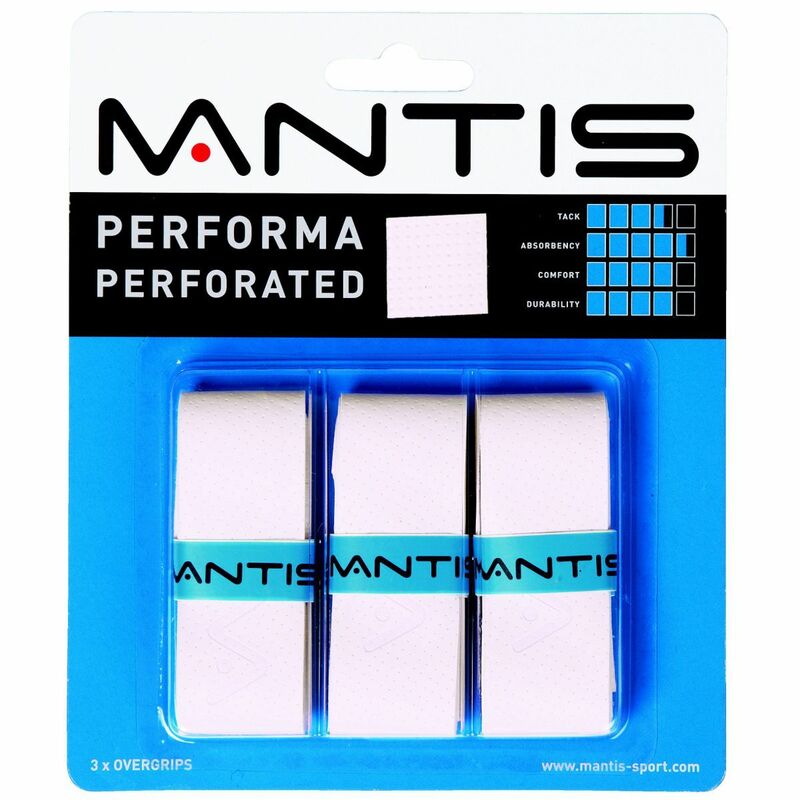 for submitting product review about Mantis Performa Perforated Overgrip (3 pack).